I’m beyond excited to tell you that I’ll be covering the LOVE hangOVER Voguing Ball hosted by the lovely Kelly Osbourne! The Ball is in support of the American Foundation of Aids Research (amfAR) and will take place this Wednesday at the famous W Hotel in New York. Other notable guests will include Bryan Boy, Jessica Stam, Lily Donaldson, Mickey Boardman, Simon Doonan and many more! As of now I have no idea what I’m going to wear. I’m thinking a gown or fancy dress would be the proper attire so I’m praying I find something in the next 24 hours. I feel every bit like Cinderella at the moment because I seriously need a beautiful dress to go to the Ball! 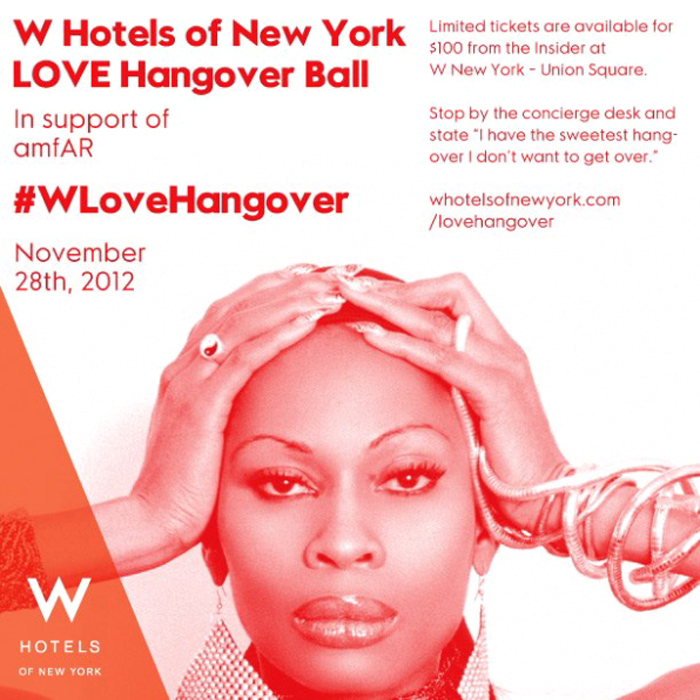 If you’re interested attending you can purchase tickets at the Insider in the W Union Square by the concierge desk. You must say ‘I have the sweetest hangover I don’t wanna get over’. It’s $100 per ticket and a maximum of four tickets per person. ALL ticket proceeds will be donated to amfAR.